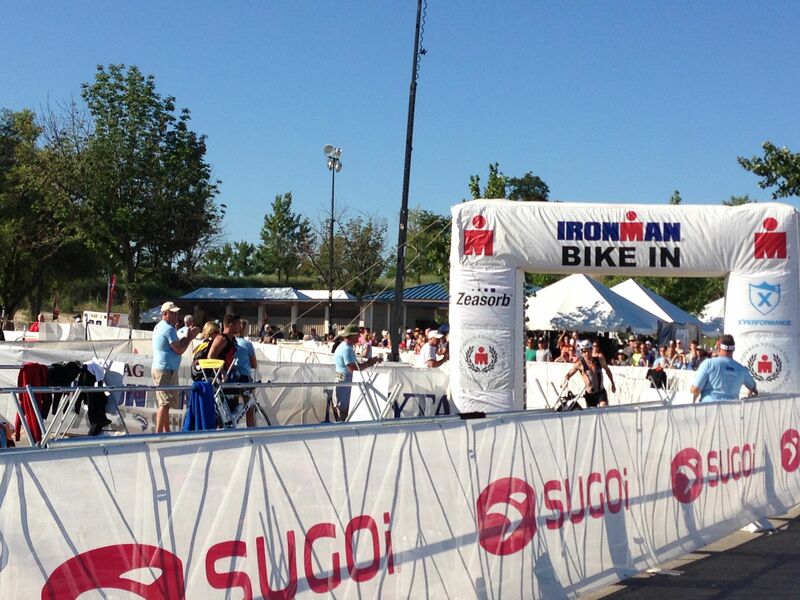 Here’s David Kahn, who went on to win the event, coming in off the biking element of the Ironman. This weekend my friend Missy and I did some triathlon training in Michigan (and also watched amazing athletes complete the Ironman 70.3 Steelhead in St. Joe’s for inspiration). This meant we would be biking a considerable distance in an unfamiliar area. Whether going on a long ride or just running to the store, getting stranded is one of those things I’m always secretly worrying is going to happen. Spoiler Alert – if you’re wondering if you will ever get stranded, you will and you’ll be just fine. In the meantime, just know how to prepare and you won’t have to worry about it. I created a list to refer to whenever I want to double check that I have what I need. I’d highly recommend making a list of your own and keeping it with your bike gear. Boom. Problem solved. Bonus Tip: Set your cell phone background to be a picture of your emergency contact phone number. That way if you get in an accident people can see your emergency contact information even if your phone is locked. Here is what the Po Campo Six Corners bag looks like in action on the Boda Boda. If and when you regularly take short trips, I also recommend designating a bike bag (mine is this one from Po Campo). The Six Corners bag is designed to easily clip to the bike and to fit what the basics you need. (It also doesn’t hurt that they are good looking bags). Having a designated bike bag ensures I know where my bike stuff is and keeps me from having to swap it every time. At this point I am going to stress the snacks. Personally, I love an excuse for a snack, so this isn’t a problem for me. However, suddenly feeling hungry when you’ve got a ways to go (especially if you’ve been drinking coffee all morning) can be slightly traumatic. Buy a box of Clif bars or Larabars and just always keep one in your bag. Headphones. There is no reason you should ever be listening to headphones while you bike. Ever. Amen. How about you? What would you add to the Bring or Do Not Bring lists? I was just thinking about this topic too. I’d add a ziplock bag to the bring list – I’ve had several occasions where I unintentionally ended up riding in the rain, and was very happy to have a bit of extra protection to keep my phone dry. My seat bag is waterproof, but I prefer not to risk it.